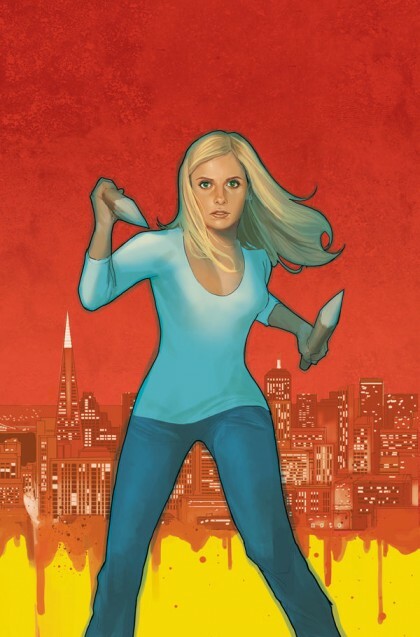 HEATHER’S PICK :: BUFFY THE VAMPIRE SLAYER: SEASON 9 #12: Since the major world changes from Season Eight, Buffy has had a lot going on as she adjusts to life in post-Twilight era. (That’s Season Eight’s Big Bad, not the sparkling vamp series.) Supernatural foes have been replaced by typical post-college woes: maintaining steady employment and paying off student loans. Slayer training is now put to practical use in a special security gig that brings back one of my favorite Big Bads from the Angel side of the Buffyverse: Wolfram & Hart (oh, those evil lawyers!!). Come for the beautiful Phil Noto covers and stay for the great storytelling within.